If you've decided to buy a new car, or at least one that's new to you - then it can be a drag figuring out what to do with the old one. There are lots of unanswered questions, such as do you need put an advert in the paper, on the Internet or both? Do you need to sell your current vehicle in order to raise funds for the new one? If you do, what do you do about the gap in between? Alternatively, if you have to keep your old car until you have the new one, do you risk having two cars at once? What if the old one doesn't sell? 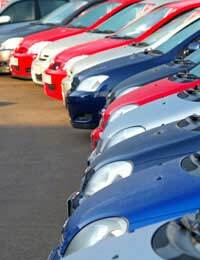 The answer might be to use your old car as part exchange - putting the value of your old car towards the cost of your new vehicle and cutting out a lot of the hassle in between. The dealer you are buying your car from will make you an offer on your old car. If you accept it they then knock the value of the offer from the price of your new car. Sounds simple, but it can be tricky - especially when you're faced with a car dealer who makes a living out of talking people into buying their cars. Does it Have to be a Brand New Car I’m Buying? No. Many dealers will part exchange on cars which are several years old. You can sign your old car over to the dealer and sign to become the owner of the new vehicle all in one go. There's no strange in between period when you take ownership of the new car before you've been able to sell the old one. You don't have the hassle of having to sell your old car first to raise the funds to buy the new one – the value of your old car is deducted from the new one by the dealer – so you don’t have to worry about it. No timewasters - No-one saying they'll buy your car and pulling out at the last minute - leaving you without a deposit for your new vehicle which you may have already signed a purchase agreement for. No canvassers - You don't have to stick your mobile number in a newspaper or internet advert, and you don't get hassled by people who want to 'sell your car for you'. In most cases a dealer is going to offer you less for a part-exchange vehicle than you will get for a private sale. They have overheads and targets to meet and they want to make as much profit as they can. However, bear in mind that they are offering you a relatively hassle free way of getting rid of your old motor, which, depending on your point of view and your financial status, may well be worth the difference you'll get in return for it. Your Logbook or registration document (V5C) to prove that you are the legal owner of the vehicle. Current MOT certificate to show that the car is roadworthy. Service History - make sure it's current and that all the stamps are there from the garages that have carried out the services. If they are missing, find out if the garage has got a record of the services and if so will the stamp them retrospectively. This is important because you will get more for your car if it has a full service history (FSH). Make sure that all keys and central locking remotes and radio codes are available. Do your research - Check a trade guide such as Glass's or Parker’s to find out what price the dealer should be offering you – and don’t be scared to haggle if you think the price is too low – don’t forget – they aren’t going to want to lose the sale of the new car, so there is some leeway. Make sure you push as far as you can. If there is anything wrong with the vehicle, find out how much it will be to get it fixed. Find out how much you'll get for the car as is, and how much you'll get for it when any issues are fixed. Obviously if you don't cover the cost of the repairs then it won't be worth it - unless it's a dangerous fault and the dealer won't take the car if you don't fix it first. It might seem obvious - but do make the effort to clean your car out before you get it valued by the dealer. It might seem like a pointless thing to do - after all they'll be more interested in what goes on under the bonnet than how the bonnet looks - but appearances do matter and it's well worth making some effort to make your car look the best it can.